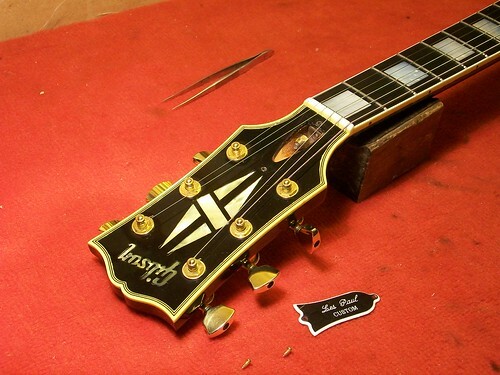 This Gibson Les Paul Custom Shop ’68 F series was in serious trouble when its truss-rod snapped off at the end. 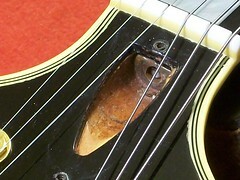 It is owned by a guitarist who just couldn’t “get on with it” because of its high action. It was put away and forgotten about. 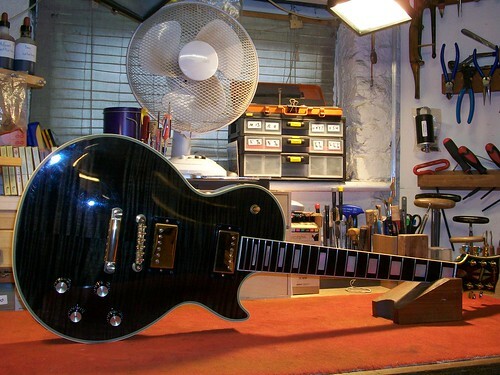 Several years later an acquaintance and Les Paul enthusiast offered to buy it. 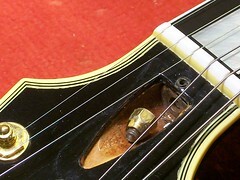 But firstly, before any deal was struck, the potential new owner wanted to lower the action and make the guitar more playable. 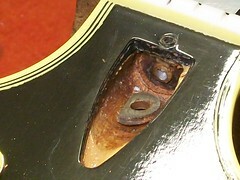 On tightening the truss-rod disaster struck, the rod snapped at the top! 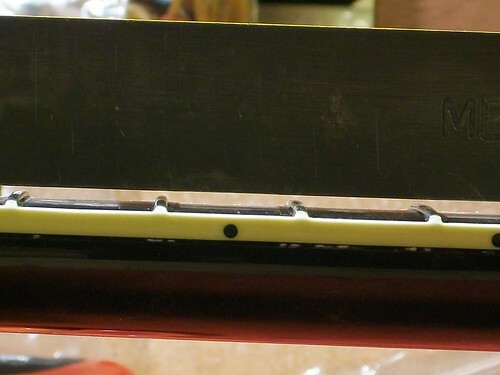 This photograph shows a straight edge against the frets around the 7th and 8th fret area of the fingerboard. 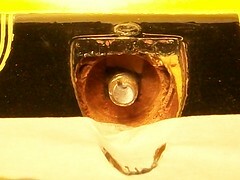 This reveals a very high action; because of this high action adjustments to the truss rod were attempted. Without a working truss-rod this guitar was destined for the scrapheap because the guitar could never be adjusted for optimum playability. 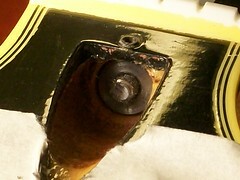 The next sequence of photographs shows how a broken truss-rod problem can be resolved. 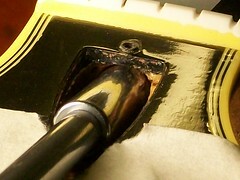 Truss-rod adjustment is a fairly rudimentary and simple alteration to make, but could end in disaster! 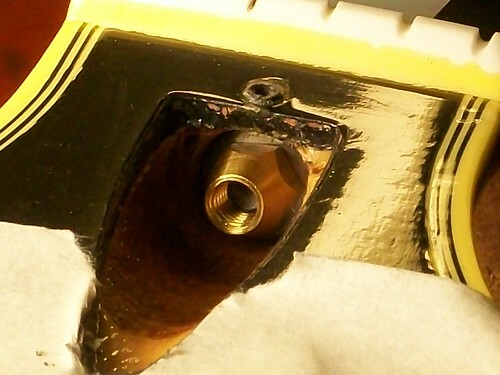 If your truss-rod feels stiff or locked in place there is a danger of it breaking if over tightened. If in doubt seek professional help. 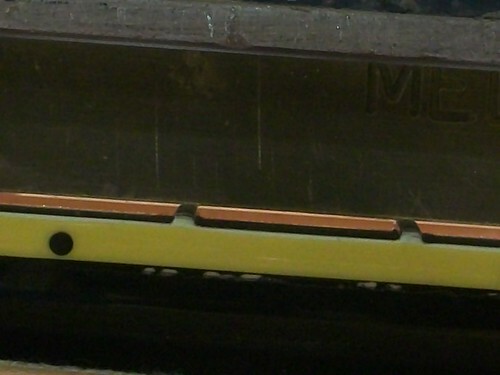 How it is possible that a strong piece of steel brake so easy? Could be a bade made? 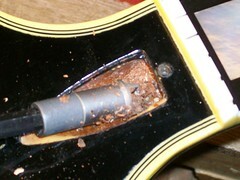 Or can happen to every guitar? 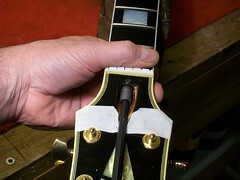 This could happen on any guitar if the rod is adjusted to a point where the rod itself starts to twist. What should i do if the truss rod is totally relaxed and the neck has a back bow??? Thanks!